Guest Blogger Week: Day 3: Ana’s Top 10 Things To Do When You’re Feeling Down! Hello there, Ana here from the blog Ravishing Roses. I hope that you are all enjoying the lovely Molly’s guest blogger week! Today I thought that I would give you 10 ideas of things to do when you’re a little down in the dumps. Everyone has those days, and sometimes just the smallest things can help to turn that frown upside down. Light a candle. There’s just something about the flickering of a candle that instantly calms me down. I have recently been loving the Bomb Cosmetics Blissful Rest candle. It smells of palma violets and throws me back to my childhood. Have a cuddle with your pet. I have two little kittys and I swear a cuddle with them is like medicine, they instantly pick me up. If you don’t have a pet, I’m sure that your best friend or mum would also be perfect. Read a book. I absolutely love losing myself in the storyline of a book. 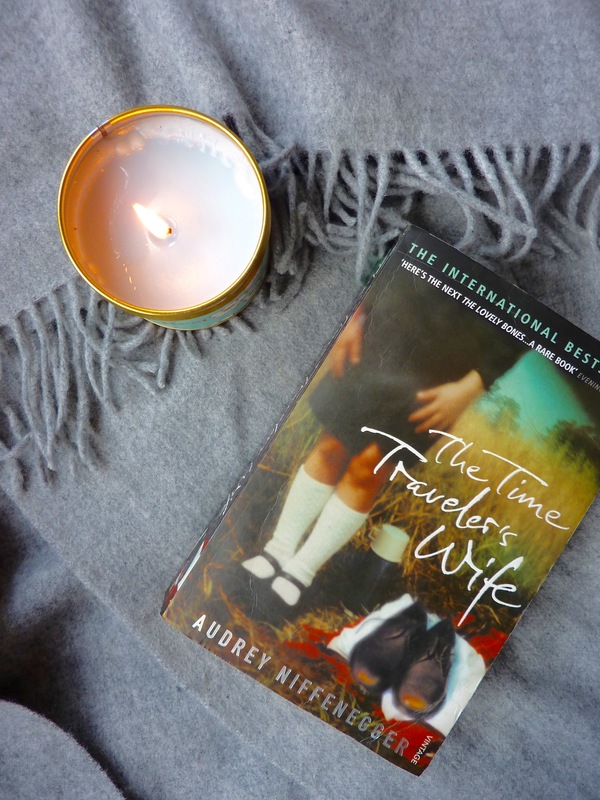 I’m currently reading The Time Traveller’s Wife and I love have a good binge read and completely forgetting about all my worries. Have a cuppa. Tea solves all problems, I swear it’s a scientific fact. If you’re not a tea lover (then we can’t be friends…) I am sure that a mug of hot chocolate could also do the trick. Take some time away from technology. Turn off your laptop and your phone and just go for a stroll outside. The fresh outdoors can cure most down days. Call up a close friend that you haven’t spoken to in a while. I love doing this, because you always have so much to talk about and it’s always as if you haven’t spent any time apart. Take a bath. A long, hot bath (in particular a Lush bath) is guaranteed to make all your troubles float away and leave you feeling chilled out and ready to embrace the day. Listen to your favourite music. I have created a playlist on Spotify which has a wonderful 5 hours and 34 minutes worth of 90’s throwback music on it. I think it’s actually impossible for me to be in a bad mood whilst listening to this. Binge Read Blogs. I love a good blog binge read, hence why I write my own. Put on a facemask. I think that I have saved my favourite till last. Facemasks just remind me of sleepovers that I used to have when I was about 13. They always leave me feeling cleansed of both my skin impurities and my worries. I hope that you enjoyed these little tips, and please let me know if you have any tips that you think should be added to this list! I would love if you could check out my blog for more ramblings about beauty, fashion and lifestyle. Thank you Molly for handing over the reigns of your blog to me! Guest Blogger Week: Day 4: Valentina’s Top Summer Nail Picks! I read that book and watched the movie! Loved both!